Even a reasonable Brexit outcome will still put Irish jobs at risk, the Taoiseach has said. Leo Varadkar was speaking at the launch of a major plan to sustain Irish jobs in a rapidly changing technological environment. He said there was no room for complacency on employment, even though jobless rates had fallen from a high of 16pc in 2012, which was a year of extremely high emigration. Mr Varadkar was joined at the launch of ‘Future Jobs Ireland 2019’ by Finance Minister Paschal Donohoe and Business Minister Heather Humphreys. 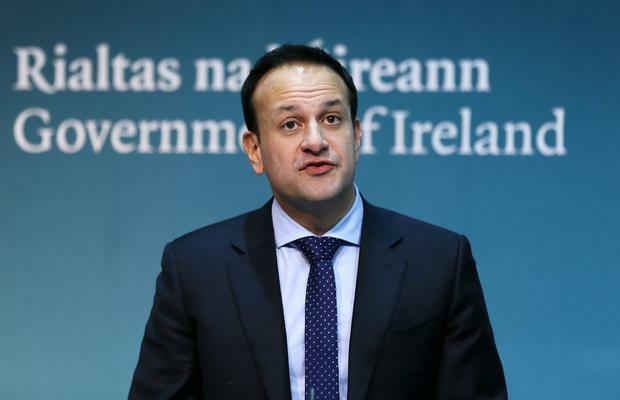 The Taoiseach said Irish people had worked hard to turn around the economy and this plan was to confront challenges from continued high-tech developments, including artificial intelligence and robotics, along with the need to move to a low- carbon economy. He cited the Brexit risk to Irish jobs, saying even a relatively positive conclusion would not be helpful. But he said there were also other risks to employment. Mr Varadkar said technology meant that home-working opened prospects for women as well as men to work from home, especially in rural areas, for big corporations like Google, Facebook or Apple, without having to travel to workplaces in Dublin or Cork. This also involved increasing ongoing training and education. He pledged to double the life-long learning rate to 18pc.